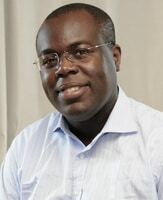 A native of Cote d’Ivoire, Eric Kacou is co-founder and CEO of Entrepreneurial Solutions Partners (ESPartners), a firm providing entrepreneurs and leaders with the right mix of insight and capital needed to generate prosperity. Prior to starting this venture, this, he served as Managing Director of OTF Group, a competitiveness consultancy focused on emerging markets. An expert in business strategy and economic reconstruction, he led the Rwanda National Innovation and Competitiveness (RNIC) Program. Eric also served leaders of over a dozen low-income nations as well CEOs, private investment funds and multilaterals. Eric started his career as a strategy consultant with Monitor Company advising Fortune 500 executives. Eric is currently a Mason Fellow in Public Policy at the Kennedy School of Government at Harvard University. He earned his MBA at the Wharton School, and serves on the Wharton Executive Board for Europe, Africa and the Middle East. The World Economic Forum honored Eric Kacou as a Young Global Leader. Around 200 BC, Archimedes made a formidable dare: "Give me a lever long enough and a fulcrum on which to place it and I shall move the world". Two thousand years later, ‘Archimedean entrepreneurs’ are responding to this mythical challenge, moving Africa beyond the "starving-growth" paradox to address the greatest challenge facing us. The ’survival trap’ is a tendency for individuals, businesses and nations to focus on short-term crises at the expense of developing long-term strategies for prosperity. This vicious cycle keeps individuals poor, businesses struggling, and nations under-developed. The right skills and mindset are needed in order to escape the survival trap.